My driver wouldn’t stop looking at the clock on his dashboard. I could tell he was in a hurry. But I didn’t know why. So I asked him. Mauro – my driver that afternoon in Medellín, Colombia – told me he had to be off the road in 10 minutes. Otherwise, a police officer could pull him over and ticket him. You see, Medellín has a rule called “pico y placa” that, two days a week, forbids certain cars from being on the road between 7:00 a.m. and 8:30 a.m. and again from 5:30 p.m. to 7:00 p.m. Basically, you can only be on the road during those times if your license plate ends in a certain number. Mauro’s license plate didn’t end in the right number that day. That’s why he was in a race against time. Luckily, Mauro got me to my apartment just before 5:30 p.m. But “pico y placa” went into effect after he dropped me off… So he couldn’t drive home. Instead, he had to pull over and hang out in his vehicle until 7:00 p.m.
By now, you’re probably wondering why Medellín has this strange rule. 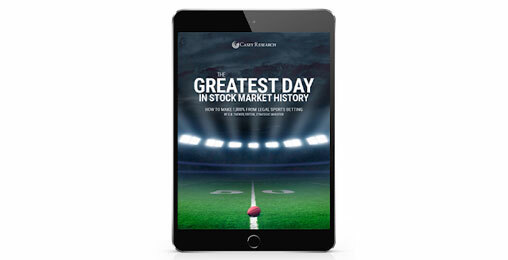 Could February 4, 2019, be the greatest day in stock market history? A former money manager, famous for predicting the renter trend, legal marijuana wave, blockchain boom, and Bitcoin bubble is going on record with his next prediction: The Greatest Day in Stock Market History. Number one, Medellín sits in a mountain valley. 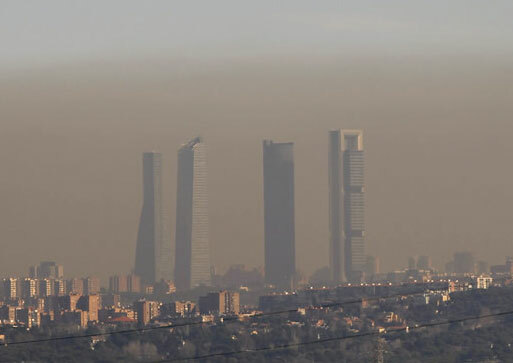 Smog from vehicles and factories often gets trapped above the city. There are also a lot more people driving in Medellín these days. Between 2005 and 2017, the number of cars in the city doubled. The number of motorcycles jumped 511% over the same period. As a result, air quality in the city can be awful at times. I know because I just spent three weeks in Medellín. One of those days, I could taste the pollution on my tongue. It was disgusting. But it apparently gets even worse than that. Last March, Medellín issued a “red alert” due to poor air quality. This alert banned more than half of the city’s cars from driving. It also restricted physical activity for children in schools. This was the second time that the city had issued a red alert since 2017. That’s a big reason why Medellín put “pico y placa” in place. It desperately needs to cut down on air pollution, as well as traffic congestion. It’s a problem across the emerging world. I know because I’ve experienced it firsthand in Mexico City; Buenos Aires, Argentina; and Lima, Peru. 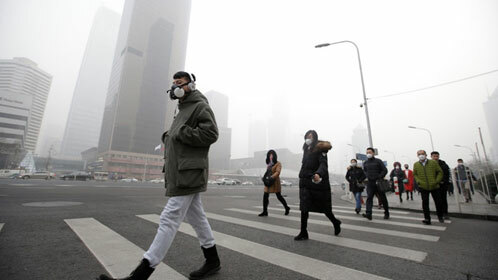 My point is that air pollution is a huge problem in many of the world’s major cities. And Medellín isn’t the only city taking drastic measures to fix its pollution problem. Many other governments are going much further. In the United Kingdom, buyers receive tax breaks when they buy “clean vehicles.” And London is imposing steep fees on what it considers dirty vehicles. Paris, Madrid, Athens, and Mexico City are all aiming to get diesel cars and vans off their roads by 2025. Norway plans to phase out traditional vehicles by 2025. China, for one, is considering banning the sale and production of traditional vehicles by 2030. Now, you might not agree with these policies. But that doesn’t change the fact that governments around the world are trying to get rid of traditional vehicles. 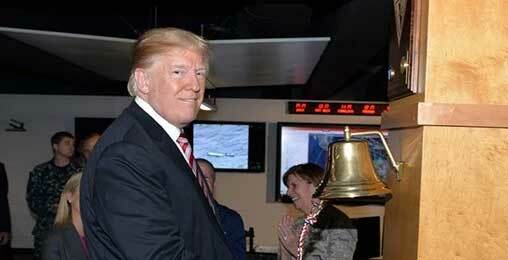 Is America on Verge of Bringing Back a “Gold Standard”? Instead, electric vehicles (EVs) are going to replace them. EVs run on electricity instead of gasoline. They burn cleaner than vehicles with internal combustion engines (ICEs). A few years ago, the market for these vehicles barely existed. There were just a few hundred of them in the world. Today, there are about one million EVs being driven around the world. And that number grows by the day… thanks in part to government pressure. Just look at what Ford and General Motors are doing. Ford plans to invest $11 billion in electric vehicles by 2022 and to have 40 hybrid and fully EVs in its model lineup. General Motors recently increased production of its Bolt hatchback… and said it plans to launch more than 20 new zero-emissions vehicles by 2023. European car makers are also entering this market aggressively. Daimler AG, Europe’s second-biggest car maker, plans to spend at least $11.7 billion developing its own EVs. Then there’s Volkswagen. It plans to spend $40 billion developing its own EVs between now and 2030. Eventually, it plans to offer more than 300 electrified models. They’re shifting away from traditional vehicles to EVs. Because of this, the EV market is about to explode. In fact, analysts estimate that there will be 27 million electric vehicles on the road by 2027. This means the market will get 27 times bigger over the next decade. By 2040, experts project that 35% of all passenger vehicles on the road will be electric. That’s up from 1% today. This megatrend is simply too big to ignore. This change is happening right before our eyes. And it’s going to play out quickly, taking millions of people completely by surprise. From a purely technical point of view, EVs are now vastly superior to ICEs. And I speak as a lifelong car guy. I’ve owned high-performance cars, and played with them my whole life – including racing sports cars, stock cars on ovals, and quarter-mile drag racing. EVs are far superior to ICE vehicles. They’ve got every possible advantage. They handle better because of a much lower center of gravity. They’re more economical. They’re much faster. Much more quiet. And they’re more reliable because they have vastly fewer moving parts. Of course, the rise of EVs isn’t just good news for car buyers and people living in large cities. It’s also a massive opportunity for investors. I say this because EVs are built differently than traditional vehicles. For example, the average electric car requires 330 pounds of copper. That’s four times as much copper as a conventional car requires… And an electric bus can require as much as 814 pounds of copper. They require far more lithium, nickel, cobalt, and manganese than the batteries that power traditional vehicles. The EV revolution simply can’t happen without these metals. Their prices could soar in the years ahead as more and more EVs hit the road. Just remember to treat any bet on these new, strategic metals as a speculation. Don’t bet more money than you can afford to lose. Have a risk management strategy (i.e. use stop losses). And take profits as they come. P.S. I also recommend you check out Dave’s new video presentation. In it, Dave uncovers a story from the EV revolution that you haven’t been hearing about from the mainstream media. In short, a radical new technology is about to take down the world leader of electric vehicles. Elon Musk’s worst nightmare is coming true… And one tiny company may be responsible. And early investors could turn a small stake into $55,000 – fast. Go here to learn more. Good piece, Doug. This rather ridiculous young woman, sadly, is a representation of today’s so-called “higher-education,” which is to say no real education at all. She sounds like she stepped right out of the ’60s, a period which featured the grossest diminution of higher education in our history, largely occasioned by the automatic draft exemption for college students. Hordes of rather dim-witted “students,” who had no business being in any college worthy of the name, flocked into college simply to avoid the draft. College standards never really recovered, outside the hard sciences and medicine, which are now heavily dominated by East Asians. I was rightly kicked out of college on my first go-around back in ’63, due to my 1.4 GPA. I went into the Army, went to OCS, and did two tours in Vietnam, the first as a rifle platoon leader in the 1st ID, the second with the-then TOP SECRET MACV-SOG operation of the 5th SF Group, a colorful bunch of notorious degenerates which featured the highest casualty rate of the Vietnam War, plus the most MIAs. Always enjoy and look forward to your columns. Come on now, you are going to actually suggest that this young woman’s IQ is lower because she wants to sell her ideas in a loud, brash way? They’re not even her ideas. Millions of people think that the internet should result in free college for everyone. Kids can’t buy houses because they have crazy student loans. How about an MBA for 250k? And the minimum wage of $15? Stay on target. Share your wealth of wisdom about pot stocks. But don’t assume that just because someone can be interested in making bank that they want the kids coming up to live in poverty forever. Political opinion pieces might hurt your brand. As always, if you have any suggestions, questions, or comments for the Dispatch, send them to us at [email protected].